What we refer to as "Christmas Holidays" passed rather uneventfully here in Hattiesburg. Weather was warm and humid, reminding me of living in Corpus Christi, Texas. But we finally had a few days of teens temps and icy roads. My geranium and croton plants had to be covered, but we're back in the 60-70s. Linda and I planned to eat Christmas Dinner at Cracker Barrel since they are always open on holidays for travelers. Not! 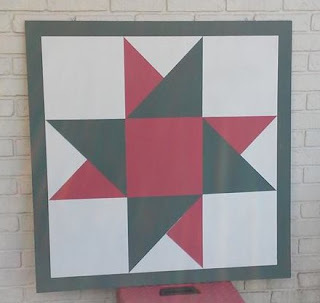 So we warmed up homemade soup and worked on her barn quilt patterns. She has become fascinated with this idea and plans to rotate her signs seasonally. 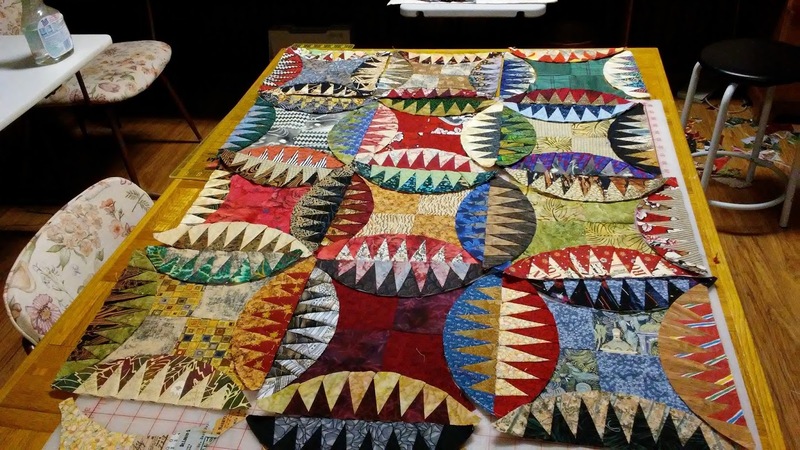 She doesn't have a barn, so the quilts are for the front of her house. 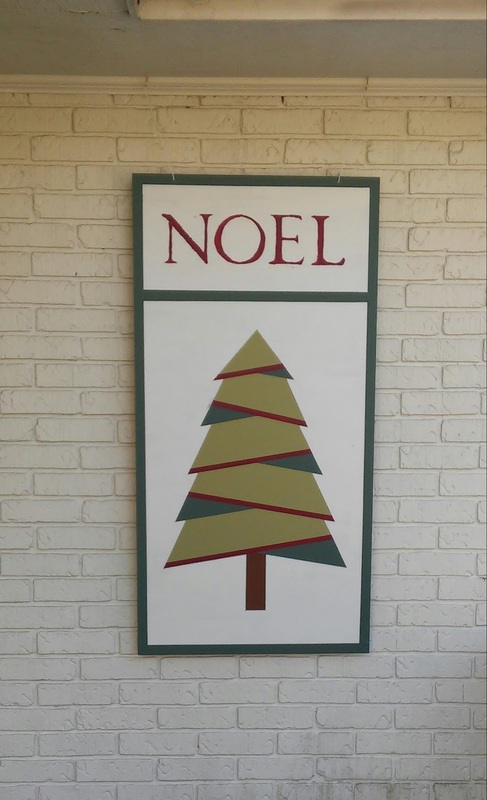 The Noel/Christmas tree hung during December. The Friendship Star is up now, with the Star of the Orient ready to follow. 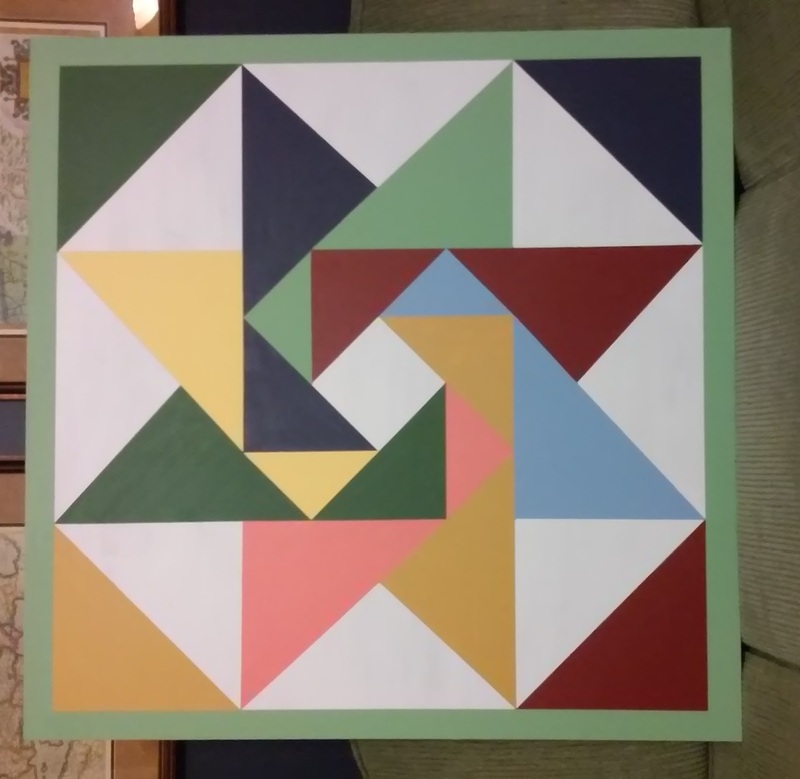 She bought an 8' square of 1/4" plywood and had it cut into several pieces. 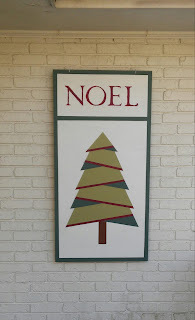 The Noel/Christmas tree is 2' wide by 4' high; the two star blocks are 3' square. Meanwhile, back in the studio, I've been having lots of fun working on my Indian Orange Peel design by Karen K Stone. Here are some of the parts laid out on the table, not sewn yet--just working with color placement. These little arcs are addictive! 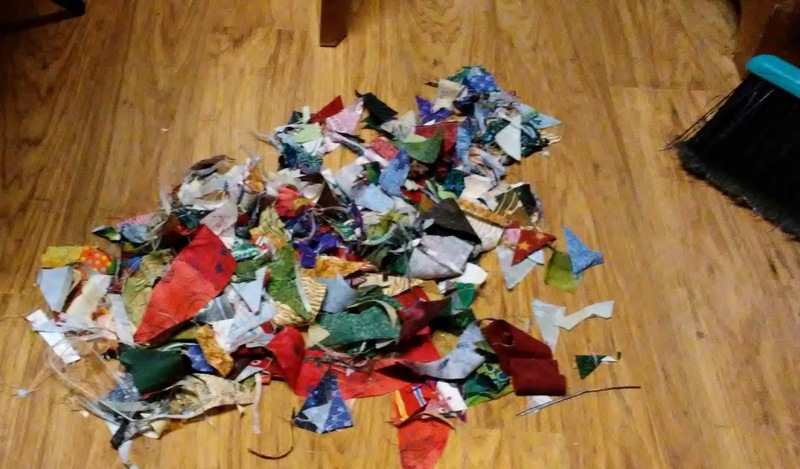 They create a huge mess of fabric on the floor. 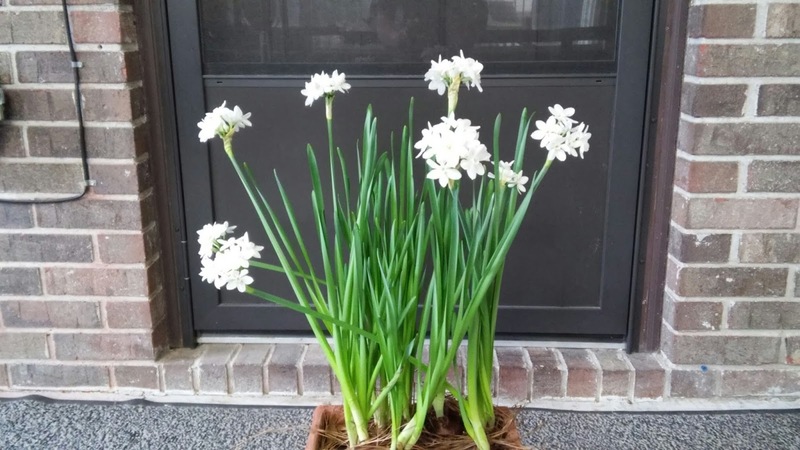 I had six bulbs of paperwhites last fall that made a beautiful show of flowers. 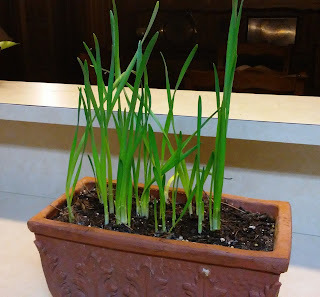 Doubting that it was worthwhile, I dug up the bulbs (which had multiplied into lots of smaller ones) and stored them in the refrigerator until around Thanksgiving. 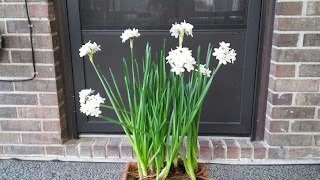 I brought them out and planted them in fresh soil and began watering. 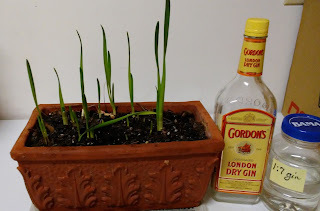 My garden center guru mentioned that gin would cause the foliage to only grow about 1/2-1/3 as high while still producing regular-sized flowers. I researched to be sure I heard him correctly, and after some growth took place I began to water them with 1 part gin to 7 parts water. Here is the pot just beginning to put up leaves in mid-December. Next picture is today, January 10.